My family is fond of beer. 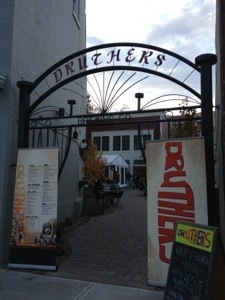 Not quite to the degree that I am, but enough that when I was visiting over Thanksgiving my father arranged for a visit to the latest brewpub in Saratoga called Druthers. 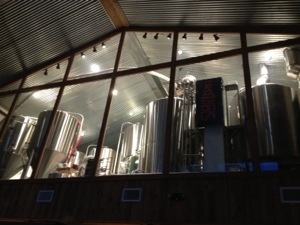 Maybe to say they’re fond of beer is even a reach- it’s really more that they indulge me. 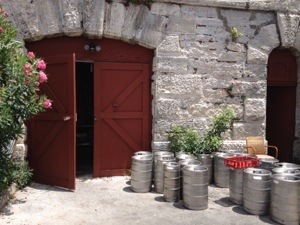 Like in Bermuda, for their 50th anniversary trip, my parents let me drag them to the one craft brewery on the island called the Frog & Onion. Of course I met the brewer! 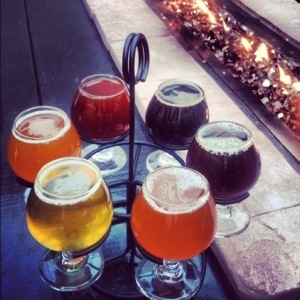 Druthers has a funky outdoor space with lots of heat and fire to let northerners pretend it’s not bitter cold, and three especially good beers: the brown, the stout, and – ready? – the pale! Super and quaffable.